Non-Obtrusive RolePlays on creative; thus attracting more players without a need for annoying chat spam. Groups of players to have private conversations; using real names, discussing what they're doing without a bunch of stuff between, etc. To join a chat by channel name. Sends a request if moderated. Leave the chat. Goes back to the primary chat. Kicks someone. If public, the can rejoin. If private, they must request. One chat line per player. PMs can go in and out normally. Server-wide custom chat lines include Advertising, Staff Service, and News. I concurr with thee. I was trying to lead a stone vs donator army, and I had to message everyone our plan, there was like 30 of us vs 2 donators. It took forever for every1 to know the plan, and when we were ready they all left. You could have to invite someone for them to join, otherwise the enemy could just join. That is exactly what his /chat add would be for. In this plugin there should also be a /chat save to save big groups of people and /chat list so you can see what chats you can join. Only problem is that someone has to make this plugin as it's mostly custom coded plugins on this server. If this goes as a big project it could take weeks for the owners to code it and implant it. 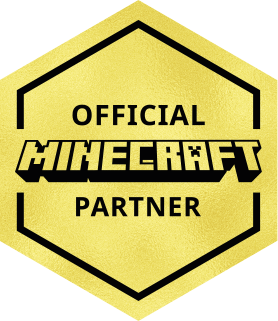 Are you any good at coding Minecraft plugins @hppavilion1 ? Good thought, it would be cool to talk with a bunch of my friends privately. So what? It takes 5 minutes to learn. So What? it Take 2 Button To Leave A Server. So what? That is off topic. Only kids would leave the server because there is a good way of chatting with people. Only kids would leave the server because there is a good way of chatting with people. Guess who plays Minecraft? (Mostly.) And it is hard to get used to a something new. By the way, take a look at TabbyChat mod. Also you could use Skype chat. @halothe23 and @rubik_cube_man mind taking a look at this?